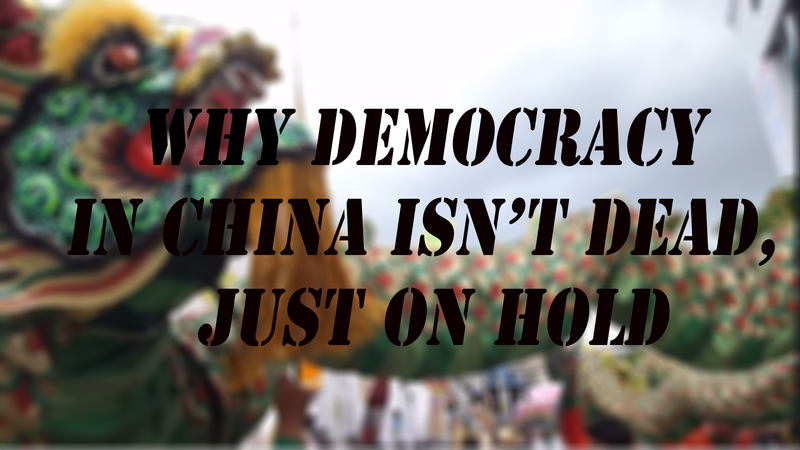 It is tempting to think that, given recent developments in China, democracy is dead there. We made our award-winning short documentary film, Democracy Road, in part to make the point that, if we look at the big picture and how democracy really develops, China has actually made considerable progress toward democracy and is in a good position to continue to do so. Of course it would be great if all countries could be prosperous and democratic tomorrow. But it never works that way. The vast majority of people in the world, 85%, live in relatively poor and undemocratic countries. We tried to bring democracy to Iraq and Afghanistan and didn’t come close. The Arab Spring didn’t produce much democracy either, just changed one dictator for another. Furthermore, if we look at the history of countries like America, it took a long time to overcome many very undemocratic practices, like slavery, segregation, etc. The point is simple—democracy is extremely difficult. 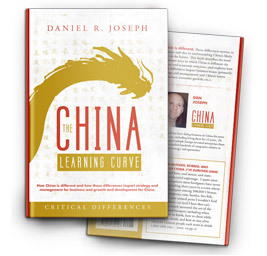 Although we lose sight of it, we need to keep this in mind when assessing countries like China. We tend to equate elections with democracy. If a country has a democracy, it is democratic. That is far from true. There is a pattern among many so-called “democracies”—endemic corruption, police coercion, extra-judicial violence among security forces, criminal involvement in government, jailing and general harassment of the opposition, stifling of dissent, etc. India suffers from all of these ills, as do many other countries. Scholars have coined terms like “ineffective” democracy or “dysfunctional” democracy to describe these countries. All of these countries suffer from similar ills, including weakness in the rule of law. This isn’t really democracy. Dysfunctional democracies all have one major thing in common—poverty. The problems described above relative to the rule of law are common among all poor, less developed countries, whether they have elections or not. In contrast, advanced, prosperous countries, while not perfect, do not have these problems nearly as severely as poor countries. The pattern is remarkably consistent. A close look at the facts reveals that there is a close correlation between economic development and democracy and that less developed countries aren’t ready for democracy. The fact that poor countries make for bad democracies strongly suggests one critical conclusion—that economic development via the free market (capitalism) paves the way for democracy. Further evidence of this notion is that, over the last fifty years, societies that have emphasized economic development first and saved elections for later, like South Korea, Taiwan, Hong Kong, and Singapore, have outperformed, both economically and politically, those that have focused on elections first and economic reform later, like India, Kenya, and Brazil. There’s even research on the relationship between culture and democracy that points directly to this conclusion. Although we always encourage countries to hold elections as soon as possible, we actually have it backwards. Economic development comes first, then comes elections and full democracy. That’s the way it works every time. When we think of spreading and supporting democracy, we tend to focus on the leaders. Can we find leaders who will hold elections? But democracy is not a top-down system. It is a bottom-up system, built on the people’s demand for and ability to support democracy. In poor countries, people aren’t culturally ready for democracy. They don’t see themselves as empowered. The rule of law is weak, not just at the top of government but throughout society. Tolerance, individualism, respect for the rights of minority groups, are all low. Belief in the absolute authority of the rulers is high. These cultural tendencies will not support democracy. But cultures can change. History and research shows that economic development via the free market changes cultures in a way that leads to democracy. People become empowered economically and then demand empowerment politically. The free market rewards honesty and fairness and strengthens the rule of law which helps not only commerce but government. That’s how it really works. Change the people first. Then come the elections. This is why we are saying China has made progress toward democracy, because its people are becoming more democratic, even if its leaders aren’t. If China stays on the path to economic liberalization and growth, it will be making progress toward real democracy. That’s the main point. This insightful comment is from Chinese rights activist Hu Jia. Hu is basically making the same point as we make in our film—economic growth raises awareness in the people and leads to democracy. Hu is correct, which is why, although we might lament the past, we can certainly have hope for the future of democracy in China.